The Deep Pore Cleansing performed at the New Youth Medical Spa is like no other Facial you have ever experienced at any price. A Deep Pore Cleansing Facial uses the Skin Master Plus, providing a non-invasive solution for the most common and troublesome skin problems including acne, wrinkles, dehydrated skin, premature aging, blemishes, and more. The Skin Master Plus accomplishes this deep skin cleansing by unique ultrasonic peeling, This ultrasonic “elastic wave” mechanism effectively exfoliates and deeply cleanses the external layers of the skin. The Skin Master Plus also stimulates microcirculation which encourages the influx of nutrients and removal of toxins from the skin. The Skin Master Plus is also used to “drive” nutritional ingredients from products such as New Youth Skin Care into the skin for better penetration to promote thicker, healthier skin with more collagen production. 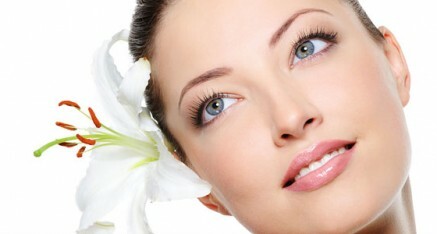 The overall effect is cleaner, healthier skin with better color and diminishes wrinkles. The cost for the procedure is $85.00. What we can see visually are the effects of sun damage, which are spots, fine lines, loss of clarity, and sagging, among other signs. On a cellular level, however, we have a reduction of blood supply which results in fewer nutrients entering and exiting the cells that produce our skin. From this, we cannot provide anti-oxidants to fight the free radicals and loss of moisture. The skin thins and becomes dry and leathery. How does the Skin Master affect these problems? The Skin Master is far beyond micro-dermabrasion, which only exfoliates the skin. Exfoliation alone may temporally improve the appearance of the skin, but it also removes some of the protective layers of keratin, exposing your skin to even more harmful ultraviolet rays from the sun. The Skin Master system utilizes mechanical and electrical energy to produce Ultrasonic waves to exfoliate, moisturize, kill bacteria, and even increase circulation. Unlike many treatments, the experience is very pleasant, and results can be felt and seen immediately. How do we use the Skin Master? Exfoliation – The Skin Master uses a piezoelectric blade actuator ultrasonic blade to deeply and gently cleanse the outer layer of the epidermis, naturally accelerating cell turnover for healthier, more beautiful skin. Acne treatment – the Skin Master ultrasonic waves kill bacteria and is used to drive our New Youth Acne System ingredients deeply into the skin for more rapid and effective treatment of this embarrassing and often disfiguring disease. Anti-aging treatment – pale and sallow skin make you look tired and drained of energy. The increase in blood supply gives color back to the skin and increases oxygen and nutrients to the skin as well as eliminating the waste from metabolism. Cells become more robust and less dehydrated. We use the ultrasonic waves to drive the New Youth Skin Treatment products into the epidermis and dermis. These products are highly concentrated with Anti-oxidants, anti-inflammatories, and nutrients found in whole foods such as marine algae and have proven to take years off the aging appearance of damaged skin. Clearing treatment – the Skin Master System allows deep penetration of the New Youth Skin Treatment products which have six ingredients that control and reduce age spots as well as give the skin the youthful clarity we all desire.